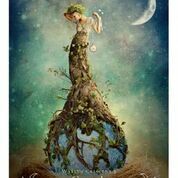 View cart “Earth Power Oracle” has been added to your basket. For countless millennia, humans have connected to the mystical power of the moon and the energy of the seasons. 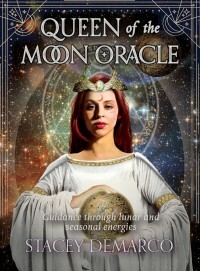 For our ancient ancestors, the earliest veneration and sacred honouring was of the Moon, the seasons, the cycles of light and dark, hot and cold and fertility and rest, and this stunningly illustrated ‘Queen of the Moon Oracle’ allows you, the modern seeker, to plug into these, the most primal energies of all. This is the perfect companion to the author’s bestselling annual “Lunar and Seasonal Diary” and is for anyone who loves to sit or dance under a big silvery moon!